It wasn’t that long ago that electronics played almost no role in motorcycles whatsoever. How times have changed. Nowadays, one is hard pressed to find a motorcycle devoid of a GPS, phone charger, communications system, etc. And for good reason. 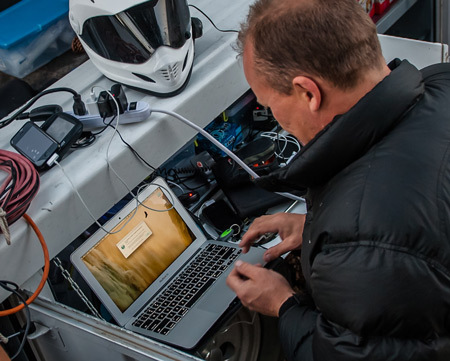 Many of todays electronics have a pivotal role in navigation, field diagnostics, and countless other Adventure endeavors. They have served to make Adventure riding safer, more excessible, and more fun. 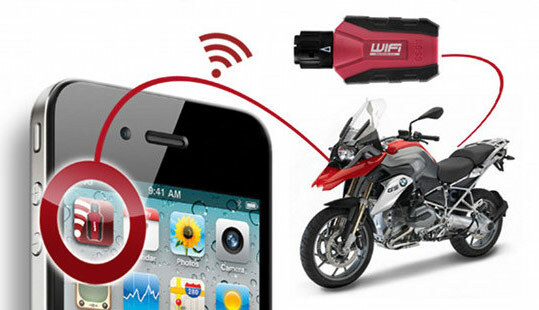 Below are a few must-have devices for your bike. For communication headset devices, click here. A Global Positioning System in amongst the most valued tools in the Adventure Rider arsenal. Even the most simplistic device can usually show you where you are, where you’ve been, and where you are going. Premium devices will provide tracking information, waypoint input, and the ability to create custom multi-point routes. While we should all have a compliment of traditional ‘paper maps’ in our kits; a good GPS unit will prove irreplaceable. Touratech USA has put together this informative comparison chart of popular GPS units. Download/print a PDF version here. 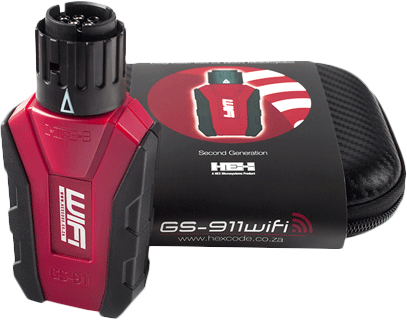 The GS-911 ia a unique compact portable tool that allows you to communicate with your engine, ABS and other electronic controllers on your modern BMW motorcycle through a laptop or mobile phone. Gen II model now works on iPhone! Picture this: you're on a motorcycle adventure many miles from home and a warning indicator pops up on your display. Your owner's manual instructs you to check your engine oil and proceed to the nearest dealer. Concerned about the warning indicator you ride to the nearest dealer which is 150 miles away only to find out it was just a communication error with the tire pressure monitor. The GS911 would have given you this information and spared you from an unnecessary detour. This is a true story which prompted this customer to purchase a GS911 which he will carry on all his future trips. Read and Clear Fault Codes. Park Throttle Bodies for Throttle Synch. Real Time Data so you can watch sensors/switches work in real time. The future of power management... is here. The old methods of power distribution have gone the way of the floppy disk; it's outdated technology. With the new PDM60, blown fuses, tangled wiring, overloaded circuits, and CanBus related power interruptions are a thing of the past. The PDM60 makes adding or removing aftermarket electrical devices\electronics to your bike a breeze. No more checking or replacing fuses, no more installing relays to power high-amperage applications like driving lights, heated clothing, etc. No more hassles. The PDM60 offers six circuits, and 60 Amps of power handling capability; enough for all of your gadgets and accessories. Six superbright LEDs will keep you informed as to the status of each circuit. better prepared, and better protected. Copyright the World of Adventure 2013 All Rights Reserved.